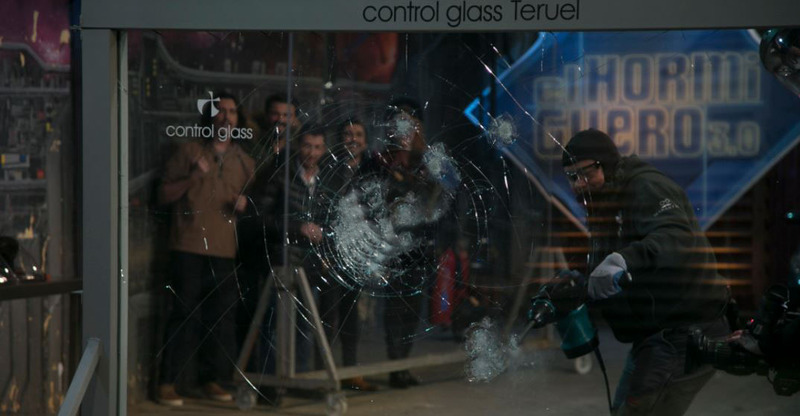 Last night in “El Hormiguero” a test was carried out on the resistance of the safety glass. The team of Pablo Motos, tried to penetrate with various instruments (even a car!) a safety glass Protek GPlus. However, there was no possible. This was because it is a laminated glass used as an anti-theft measure in homes or businesses. This type of glass is being increasingly installed by various architects in their works, as its resistance is based on a polycarbonate core which gives the glass a tremendous hardness. Specifically, Control Glass company has specialized in this and other types of safety glasses, exporting 40% of its production. At Aramar, we are aware of this trend, which is why we try to ensure that all of our ironwork and glass supplies are applied to the different types of glass on the market. If you want to know any of our products, do not hesitate to visit our catalog.